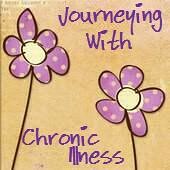 Rambling Thoughts of a Southern Lady: I'm Writing Again! Not many of us can say we have had our dream job. I can. I was blessed to work for the Mississippi Development Authority - Tourism Division promoting outdoor recreation. I was paid to hunt, fish, camp and hike! Is that a dream job or what? My major duties were arranging hunting and fishing trips for outdoor writers and television shows and hosting them while they were in Mississippi. Additionally, I visited all of the state parks to survey the campsites, cabins, and hiking trails. I made many friends on the job, and two of them are still special people in my life. My first turkey hunt stands out more than any other. This was a special trip because I usually worked with guys, and this one was all ladies; with the exception of Jason Miller, at the time the host of In Pursuit shown on the Outdoor Channel. Six ladies gathered at Timberview Lodge outside of Meridian, Mississippi. Three of our guests were experienced outdoor writers and turkey hunters. Lisa Price, still a very dear friend and the only person I’ve met who has killed a turkey using a bow. Brenda Valentine, also known as the First Lady of Hunting™ and a national spokesperson for the National Wild Turkey Federation was there. I have to admit I am drawing a complete blank on the third writer who was my hunting partner. It’s been over 13 years, and my memory is just not that good! Not me! 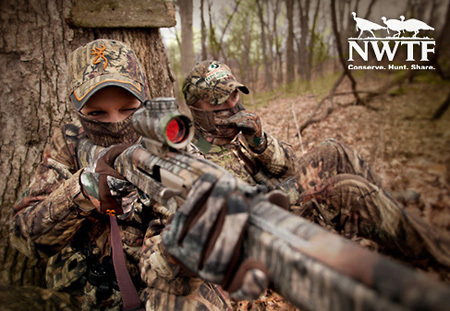 It's a NWTF stock photo. Three of us had never been turkey hunting. I led the rookie team. Karen Roop, Editor of the National Wild Turkey Federation’s Women in the Outdoors magazine at the time, was the second rookie. Tish Hancock from the Mississippi Gulf Coast Convention and Visitors Bureau rounded out our team. We spent the first afternoon sighting our guns. It was fun watching Karen and Tish handle a gun for the first time. I love any excuse to shoot a gun, so I had a blast. Jason and his cameraman, Tom had been teasing me about something for months. They let up on me for a day or two after seeing how well I shot! One of my favorite things about being in the woods before the sun comes up, is listening to the forest awaken around me. The first chirp of a bird, the first sound of a squirrel, and many other sounds I can’t put a name to are a huge reminder that our world was perfectly planned by God. These turkeys like to hang out in a cotton field down the road from our house. I shot this photo last week. The first morning it didn’t take long for our guide, Ike, to call in a turkey. We first sighted him about 60 yards out, following an old logging trail. My hunting partner and I were disappointed that he was outside our range and there was only one. After the turkey passed, Ike told us not to worry because the trail curved around, and usually the turkeys followed it, so he’d be close enough for one of us to have a shot soon. Sadly, we never saw another turkey that morning. afternoon hunt. 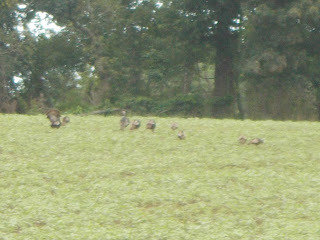 When we reached the field where we would hunt there were six or eight turkeys standing there. It was almost as if they knew we had to get our guns out, load them and open the gate in order to take a shot. The turkeys wandered around very close to us, not attempting to hide. Teasing us, they peaked from behind trees and stands of brush. Thankfully, Jason and Tom were with another group so they and the turkeys were not teasing me. Finally ready, we approached the gate and off went the turkeys as if on cue! Knowing that flock wasn’t going to listen to his call, Ike took us deeper into the woods to another favorite turkey hang out. As we crossed a mowed power line easement, I looked up to see the most handsome buck I’ve ever seen. I really think the turkeys had let him know we were coming, and reminded him it wasn’t deer season. He stood perfectly still for several minutes, looking us over much like our mothers did on the first day of school. It was almost as if he was taunting us saying, “It’s not deer season, you can’t shoot me” in a child’s singsong fashion. Finally, with a swish of his white tail, he turned his back to us and slowly walked away. we called it a day at dusk, and headed back to the truck. As we approached the gate, our greeting party was there again. 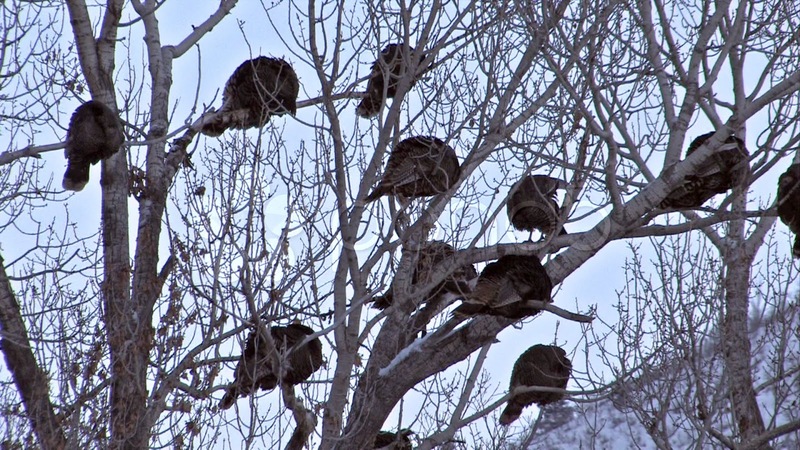 This time they knew the guns were loaded and wasted no time in flying up to roost. As big as a turkey is, I never gave much thought to them being able to fly. Trust me, those big guys can fly quickly and make lots of noise with their wings doing so. The next morning work duties kept me from hunting and I was more than ready for the afternoon hunt. Ike decided I could do this on my own and dropped me off to see how I’d do. After about an hour at my first stop and no signs of a turkey, I moved a little further into the woods. Just like Ike taught me; I built a blind from sticks and leaves and the wait began again. After about 15 minutes, I heard something coming up behind me. I was really hoping it was a turkey, all the time knowing my calling was not good enough to call one in. 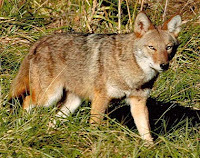 We were all told that if we saw a coyote to shoot it. Remembering this, I convinced myself a coyote was stalking me. Slowly, I began to ease my gun up to shoot and even more slowly I turned around to see what was closing in. 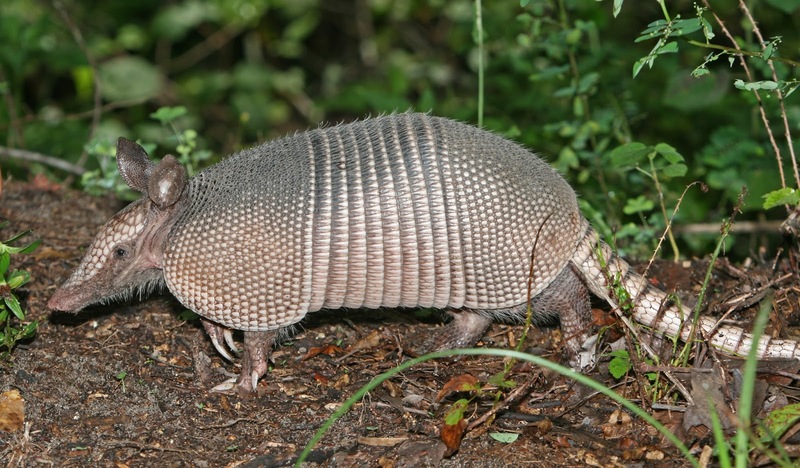 When I was finally able to see my stalker, I didn’t know whether to laugh or cry when I discovered it was an armadillo! Who knew those little feet could make so much noise on dry leaves? Overall, my first turkey hunt was a bust. Only two birds were harvested between the six of us – both by rookies. I can say that my blind-building got an A+ from Ike, because he walked past me when he came to pick me up. I will always wonder if he did that on purpose, but he promised he really didn’t see me. Did you wonder what Jason and Tom were teasing me about? And do you wonder who the other person is that I’m still close to? The answer to both questions is In Pursuit’s producer and senior editor, Bill Martin. Bill started out as my contact person to arrange Jason and Tom’s Mississippi hunts. Today he’s the best husband anyone could ask for. Finding him is really my favorite “hunt” of all time. Of course, I couldn't find the CD of our wedding pictures which I had just had in my hand two days ago. The hunt was in April of 2000 and this picture is from May 2010. 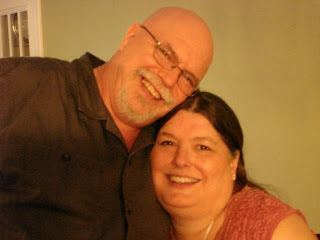 In September we will celebrate our ninth wedding anniversary. Our courtship was spent hiking, camping and fishing. It was a blast! Bill has experienced both the "in sickness and in health" with me. 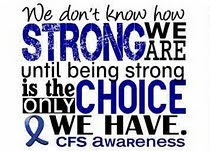 In 2009 I became chronically ill and he's been by my side acting as my advocate since then. 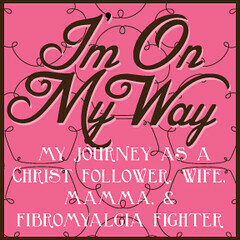 You can read about that at My Life with Fibromyalgia Pain. I hope to begin posting again at least twice a week. Depending on what the news is for the day and what I have to get done for the day, you may get my rants more often.